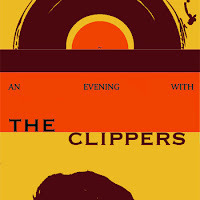 How do you know if you'd be interested in An Evening With The Clippers? Well how does an evening with Alkaline Trio-esque vocals and short and sweet musicianship with two (presumably) sweaty guys from Boston sound? If you've ever swooned to Matt Skiba's voice in Alkaline Trio before, you'll appreciate the combination of The Clippers' vocal drawl over technical guitar work a la Look Mexico. The result is an EP of five songs only lasting a meager seven minutes; it's fast, punchy, and just glossy to retain those Alkaline Trio similarities. If you're itching to sample some work from this Boston duo, you can sample two songs from their debut EP that was released last year, here. If you're interested in something a little more recent, The Clippers have released a split with the band Coping through Topshelf records which can be found, here.